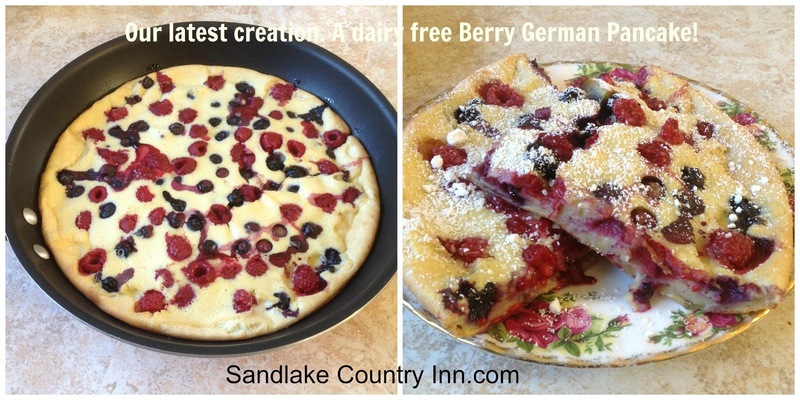 Breakfast is a big deal at our Tillamook county bed and breakfast, Sandlake Country Inn! Here's one of our newest recipes which can be easily adapted for folks who can't eat dairy. I made this recipe dairy free for guests with dietary restrictions, but it's also great made with milk & butter. 2. Use a blender and combine the eggs, milk, flour, sugar, lemon zest and salt. 3. Heat a 12-inch cast iron or oven proof skillet over high heat on the stove. Add the butter and melt. Pour the batter into the skillet, then scatter the berries on top. Put the pan in the oven, and bake until puffed and cooked through, about 20-25 minutes. Slice and serve, topped with powdered sugar, syrup and/or freshly whipped cream, as desired. 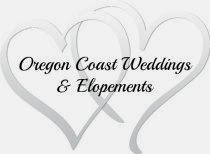 Your Romantic Getaway on the beautiful Oregon Coast.